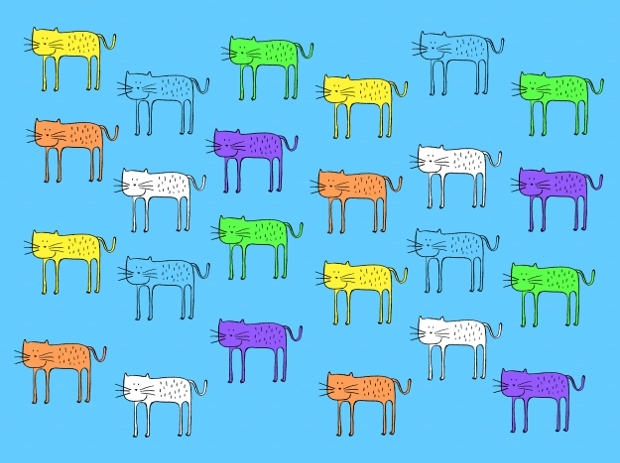 Have you been seriously looking for a feline logo? Cats are among the most favorite and funny animal after dogs. Furthermore, they are highly adaptable, easily recognizable and show immense strength and stamina. 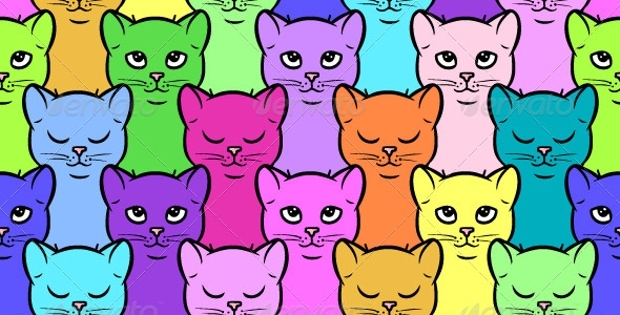 Another important reason why cats are more popular in logo designing is because they look almost similar around the world. 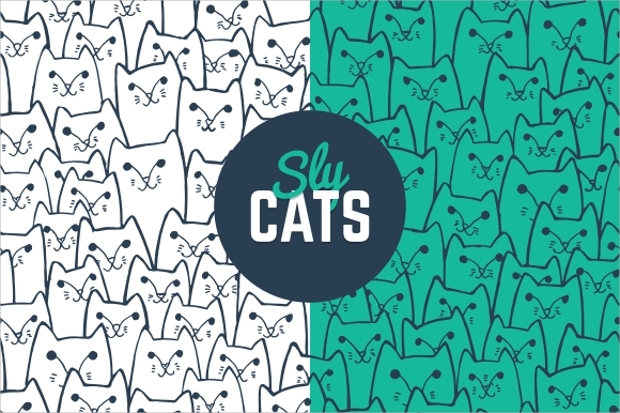 From company emblems to purr statements, cat logos have found application in all types of businesses and organizations. 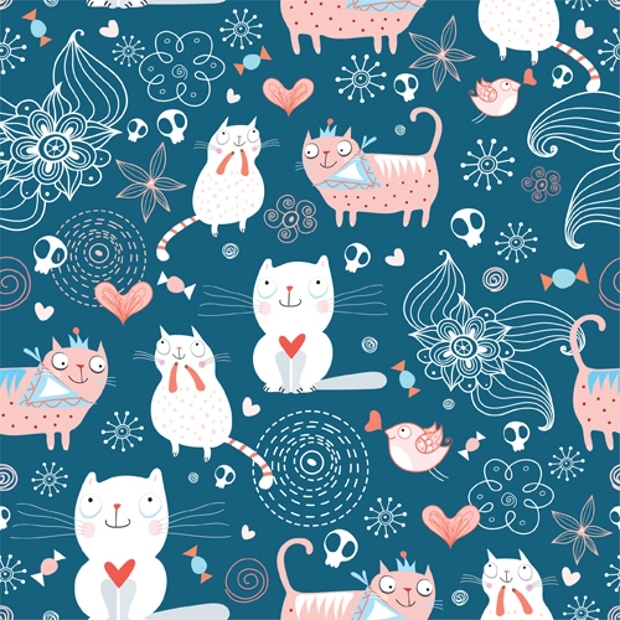 Here are some amazingly fresh ideas for cat pattern designs. Cats show several aspects of animal personality. They are cute, they are fast, they are skillful, they are playful and they can be angry too! 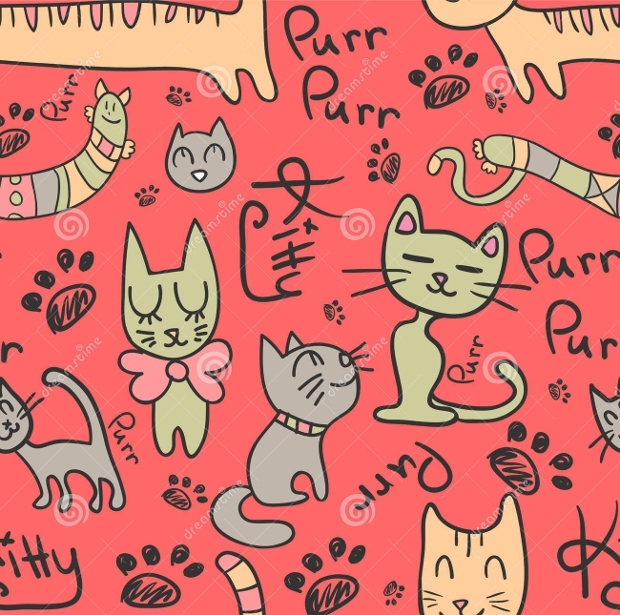 If you have been looking for such varied illustrations, this set of cat patterns and logos will suit your purpose perfectly. The vectors are available in white, black, gray and brown variations and are completely customizable. 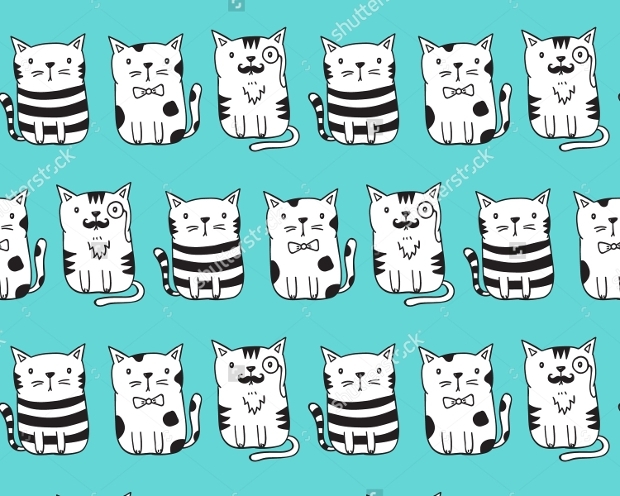 Another quirky vector illustration library for cat patterns, you can choose from a wide range of colors. 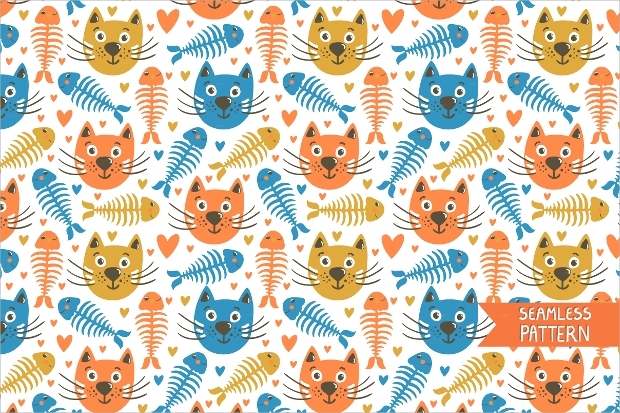 Whether you are designing a poster for your new restaurant or introducing your line of cat food, these cats will certainly attract the attention of the audience. The vectors are available as EPS and can be converted into any image format you would like to work with. Cats have always been popular emojis. This collection of editable vectors showcase a variety of cat emotions and all of them have a surprising element. 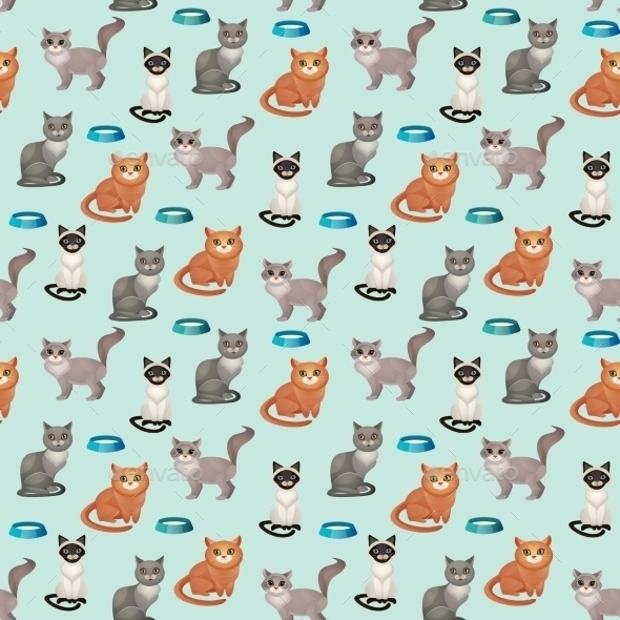 Available as editable EPS, these cat faces can be converted into any image file format, without losing upon the resolution. 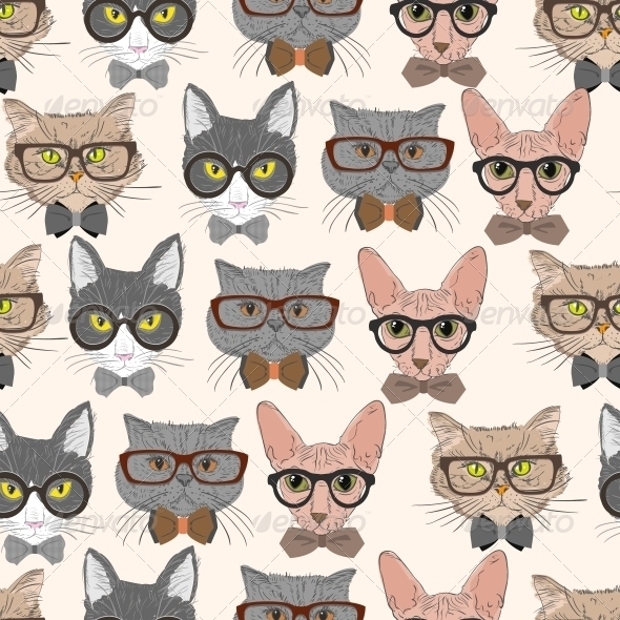 The best thing is that each of these cats wear a different type of spectacle that matches their expression! 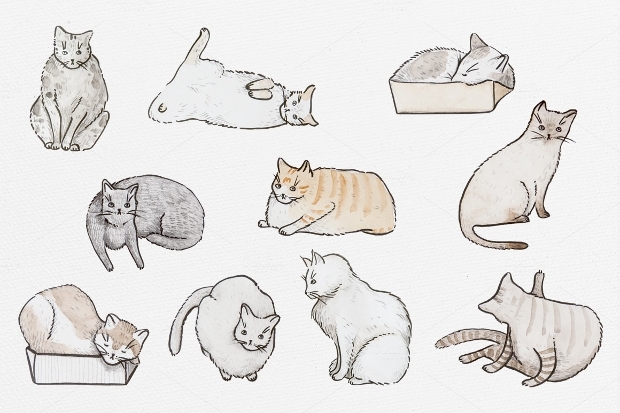 Here’s a unique pack of funny cat illustrations that suit special graphic requirements. All 10 illustrations are available as transparent PNGs and EPS and in 300 DPI. 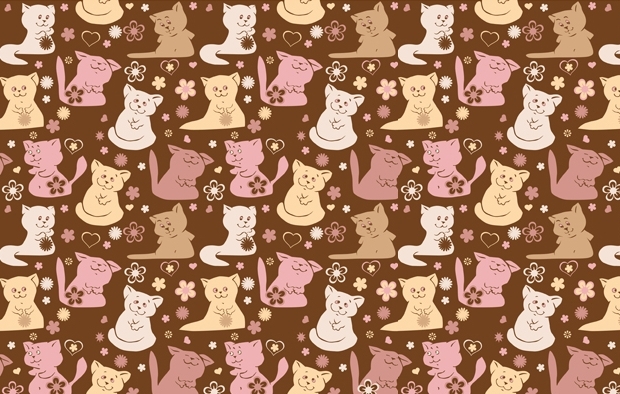 Further, you get a single high definition pattern with this purchase. The furry cats will certainly surprise your client! 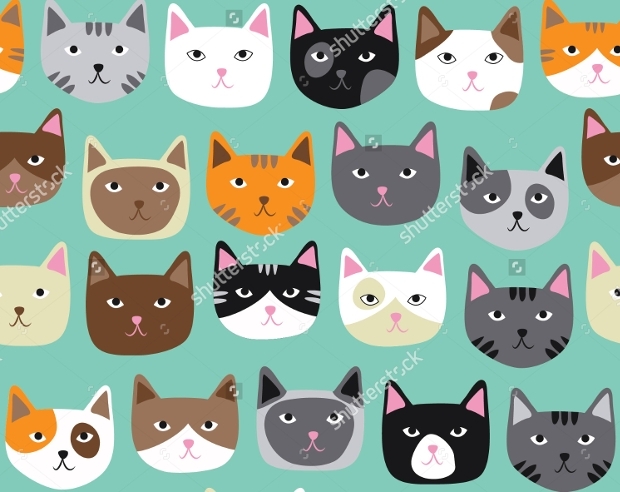 An extensive library of cat clipart is available in a blue background and each one can be customized, scaled and filled to meet your logo requirements. You can choose from a wide variety of expression and also add cartoon elements to make the logo representative of your brand. 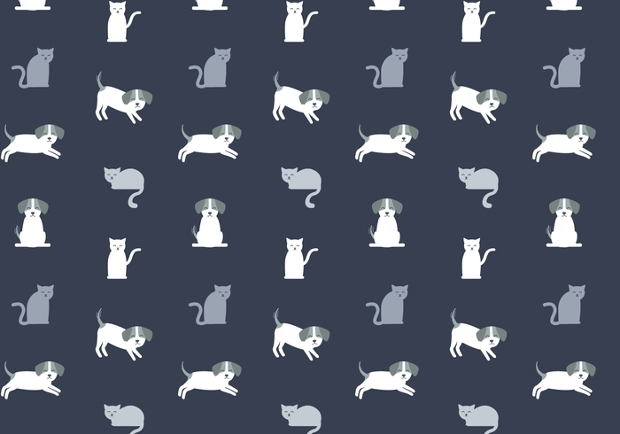 Sailor Jonny offers this set of four cat vectors that can meet a variety of applications. 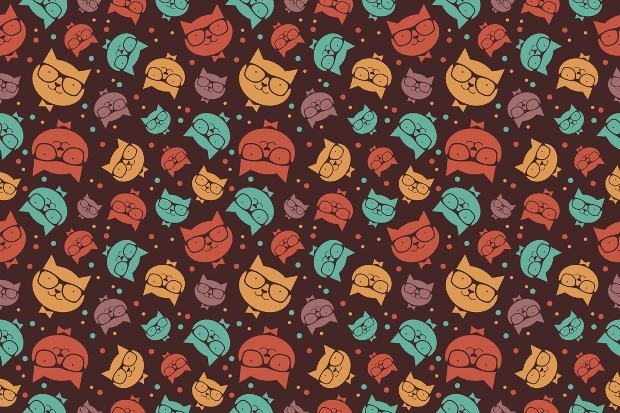 The cat faces in these vectors come with interesting pattern swatches and will be useful tools when designing products for a younger audience. Available in high resolution, they can be scaled and colored according to your needs, without losing upon the quality of print. 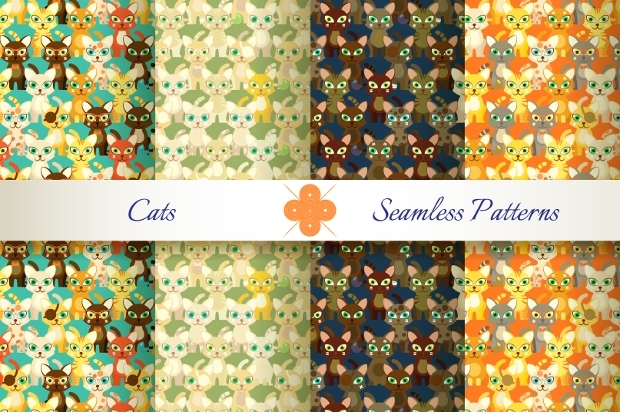 With 6 different cat patterns, you have a toolset to ride though your creative project. Whether it is a school SUPW or a product design for the younger audience, these cozy cats certainly demand affection and attention. 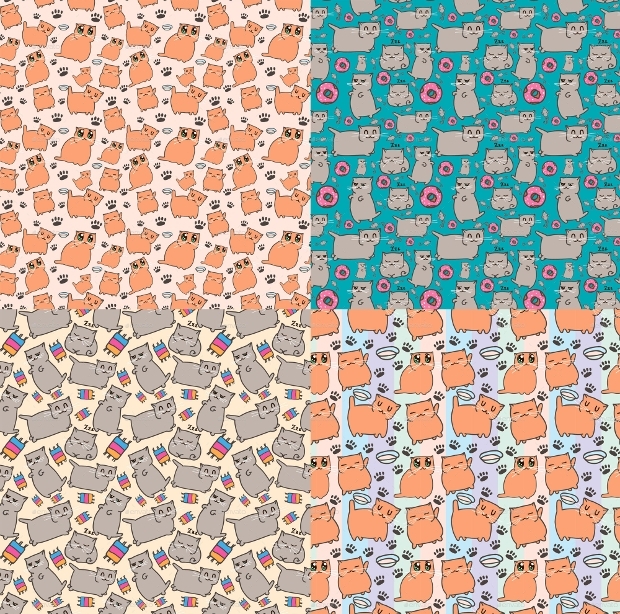 Cute and funny, they can also be put into a lot of representative designs. 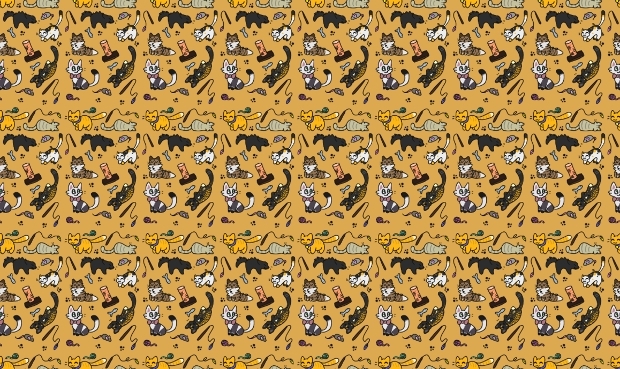 If you have been searching for vector patterns with cats, this will be a great option to look into. 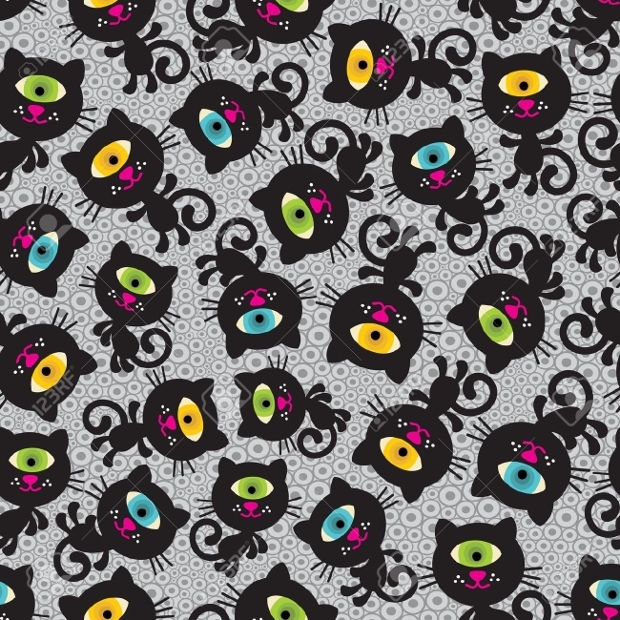 Whether you are trying to design print for textile or put the pattern into any kind of product, this pattern is available in high resolution and meets all jobs. 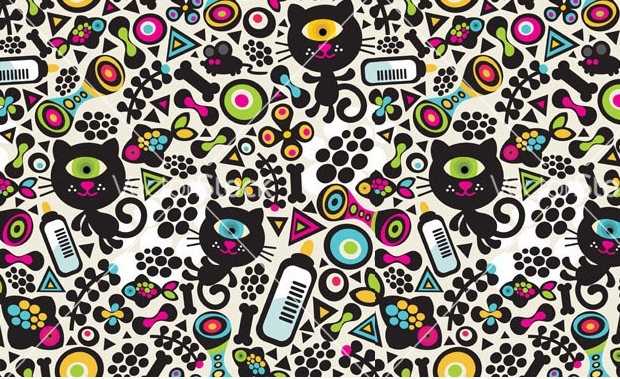 Add a personality to your design with these funny and representative cat personalities. Whether you are trying to find the perfect background for your event poster or design a product for the younger audience, these cats will definitely come to use. We hope that you certainly got what you came looking for. 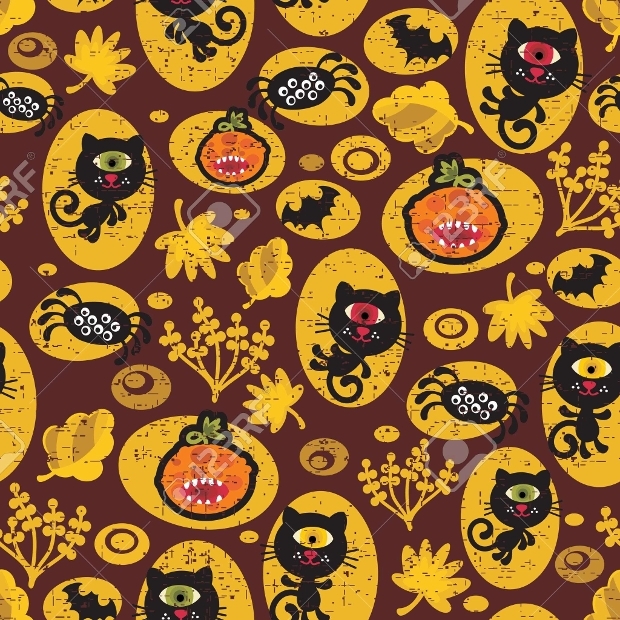 We would also like to see how you have put these vectors and patterns to use. 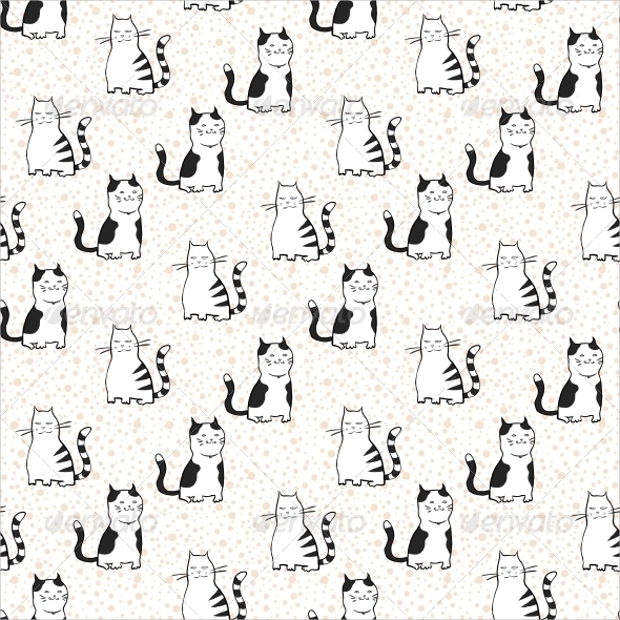 Share your cat designs with us!